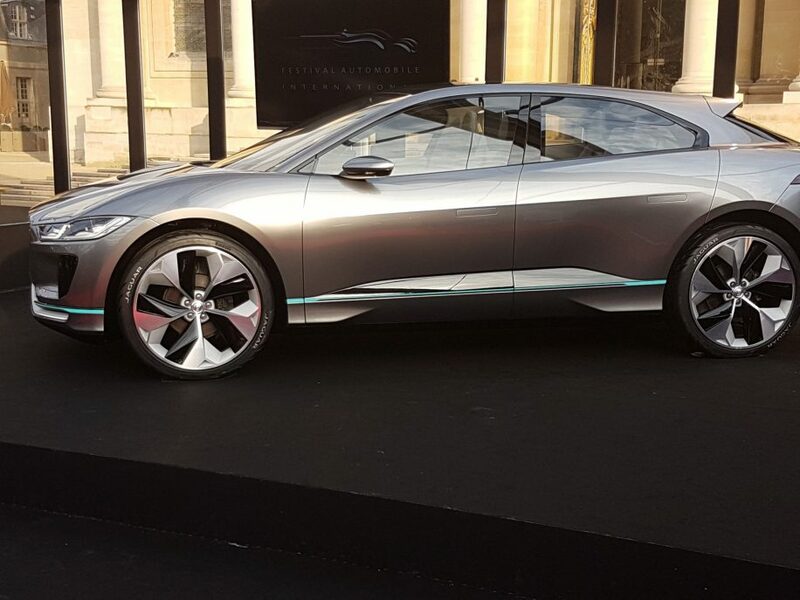 Jaguar has unveiled its first all electric sports car, the I-Pace. The Jaguar I Pace. Photo by Akil Wingate. 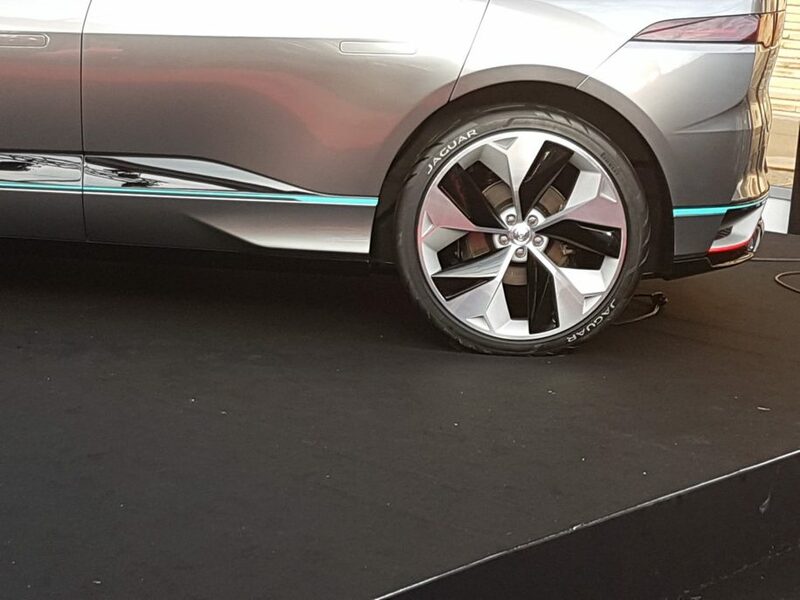 Jaguar has entered into the electric car arena with its first all electric sports car. The I Pace. From a distance its lines are moderately sleek and its silhouette appropriately tailored to assuming the nuances of the open road at top speeds. But at closer inspection we suddenly understand that this baby runs on juice and not diesel fumes. Topping 0 – 100 km/h in 4 seconds, the I Pace can aptly keep pace (pun intended) with its other electric concept rivals like the DS E-Tense and the Renault Trezor. Where those others are less likely to share the conversation in in the category of tried and true luxury brand. Jaguar has been curating a canon of luxury vehicles for decades now while Renault and DS service a mid-market demographic. Where does that put the 700Nm torque superstar in juxtaposition to its other luxury contemporaries like Aston Martin, Mercedes, Bentley and Rolls Royce? At first glimpse the I Pace lacks the visual bravado and punch that its other luxury counterparts put forward with their own respective luxury electric vehicles. Secondly for the retail release of the brand’s first electric vehicle, the second half of 2018 is a little late, if not fashionably late, to arrive at the party. However, it comes more than appropriately dressed. Let’s get to the brass tacks. The door handles are flush with the smooth outer shell. Its air ducts are almost nuanced with a touch of science fiction. The curve of the body retains a mature family friendly integrity supple enough for the 4 door and still it plunges headfirst into the wind with a racing spirit. Because it is an electric vehicle liberated of a bulky engine, the 5 seater boasts ample space and storage. A panoramic roof gives a theatre like experience of the world overhead as the I Pace cruises beneath the open sky. One single charge will carry the I Pace 500km. Its 90 kWh Lithium Ion battery can achieve 80% of charge capacity in 90 minutes from a 50kW DC rapid charger. 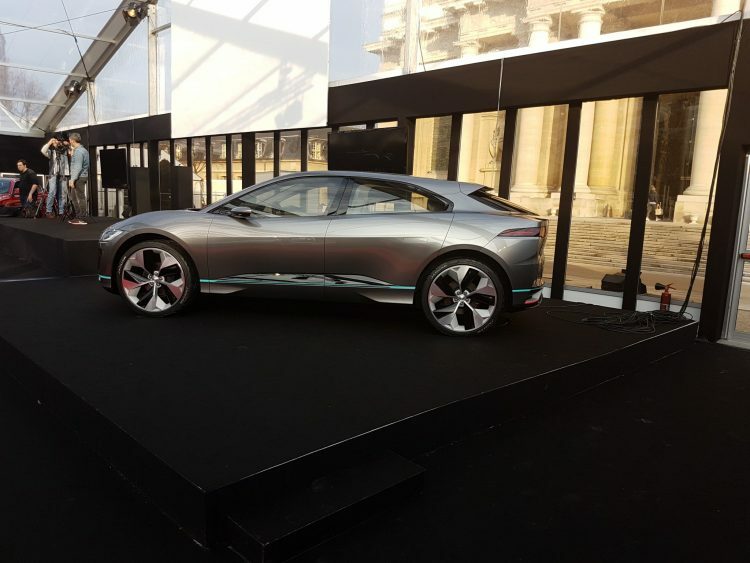 It certainly managed to wrestle the spotlight from the other heavy hitters at the Festival Automobile International concept car show in Paris. Now the public eagerly awaits to see how it performs under more intense scrutiny once it hits the road officially.